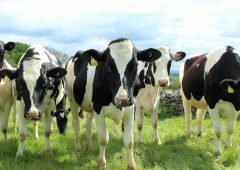 Home » Dairy » Is your milk replacer maximising your calves’ potential? Feeding calves hay in conjunction with a high-quality milk replacer has proven to produce top-quality stock with higher weight gains. A recent trial conducted by Harper Adams University in conjunction with Bonanza Calf Nutrition involved 44 British Blue x Holstein bull calves, at a mean age of 22.6 days. The diets of the calves within the trial were compared to those that have been fed straw as a major component of their feed intake. 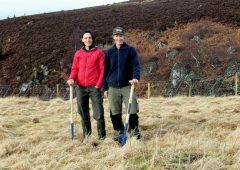 Divided into two groups, the young calves were offered good-quality meadow hay and Milky Way – a 100% milk protein calf milk replacer – or a good-quality winter barley straw and the same level of Milky Way. 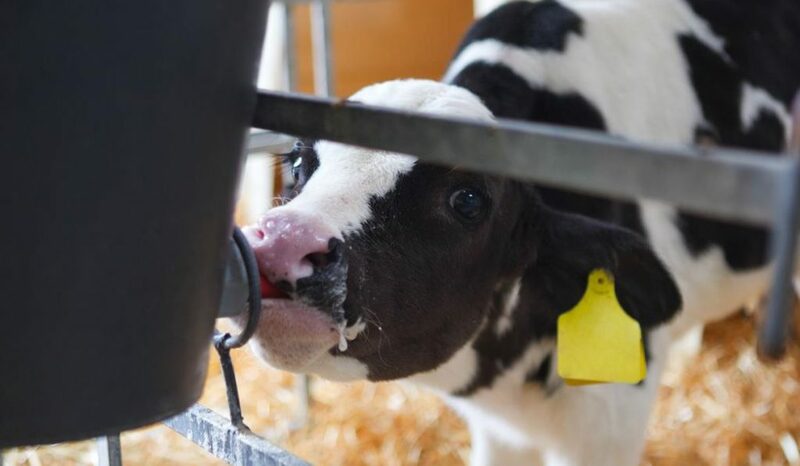 The calf milk replacer was initially fed at a mix rate of 125g/L – fed at 2L twice per day – with the feed rate gradually reduced one week prior to weaning. In order to stimulate rumen development, ad-lib 18% crude protein (CP) early weaning concentrates were made available to the calves in conjunction with a fresh water supply. On day 42 of the trial, all calves were weaned and moved into group pens until 12 weeks, while continuing to be fed the same initial forage. The trial showed that hay had a significant (p>0.05) effect on daily liveweight gain (DLWG) until weaning. However, there were no significant differences in DLWG from weaning to 12 weeks (i.e. the straw-fed calves did not ‘catch up’). The calves received a maximum of 500g of Milky Way a day – 19kg over the six-week feeding period. Those on hay recorded DLWGs of 0.70kg to weaning with the straw fed calves growing at 0.60kg. Hay fed calves weighed an impressive 144.9kg after 12 weeks on trial. 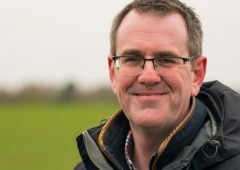 Simon Marsh, principal lecturer and cattle specialist at Harper Adams University, who jointly supervised the study, noted that: “Forage intakes were significantly higher with hay and with slightly higher concentrate intakes, resulting in an additional 70MJ of energy intake from start to weaning, resulting in the improvement in DLWG. 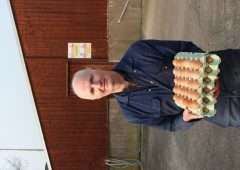 With an increase in feed intake there is undoubtedly an increase in expenditure. 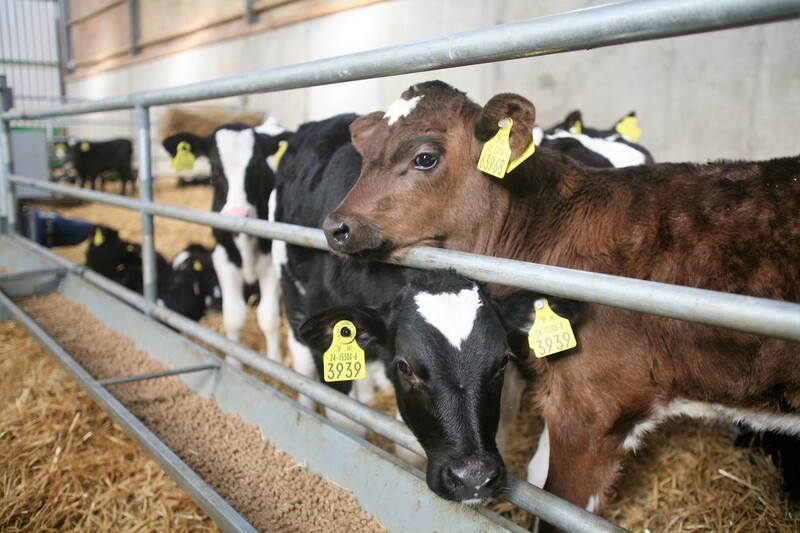 The total feed costs per calf were slightly higher with hay – £95.50/calf to 12 weeks compared to £93.84/calf for the straw-reared group. 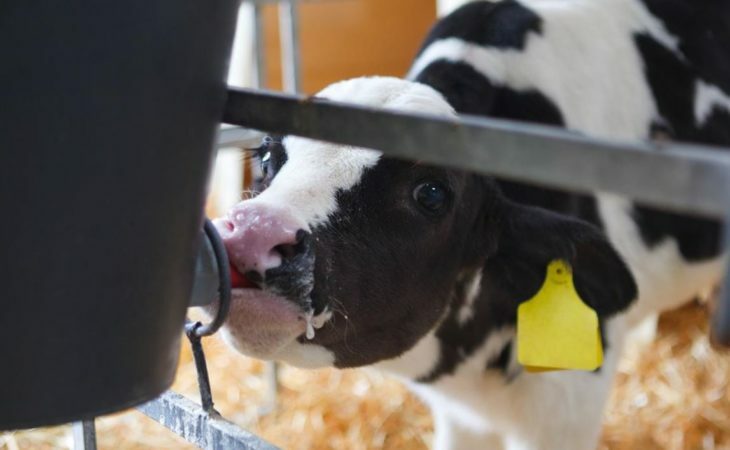 However, the performance simply outweighs the cost, with feed costs per kilogram of gain lower due to the improved performance of the hay-fed calves. 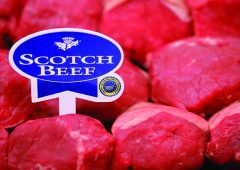 “Overall performance of the calves was very good, meeting the recognised targets for rearing calves to 12 weeks,” said Marsh. 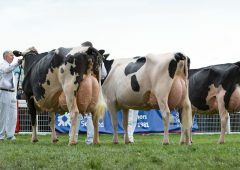 “This excellent performance is likely to be partially due to the standard of stockmanship and feeding a high-quality milk replacer,” he added. 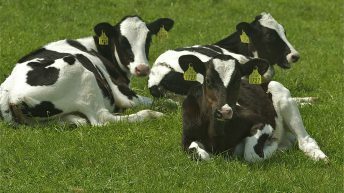 Results of the study show that there was zero calf mortality over the 12-week period. To get the best performance out of your herd, you need to be providing them with the best-quality feed. All hay used in this trial had a good ME value of 10.3MJ/kg DM; a crude protein of 10.3%; and high sugar content (5.8%), so it could be termed as ‘sweet meadow hay’. Dr. Christine Cummins of Bonanza Calf Nutrition advises farmers to feed a well-formulated and palatable concentrate and monitor its performance regularly. 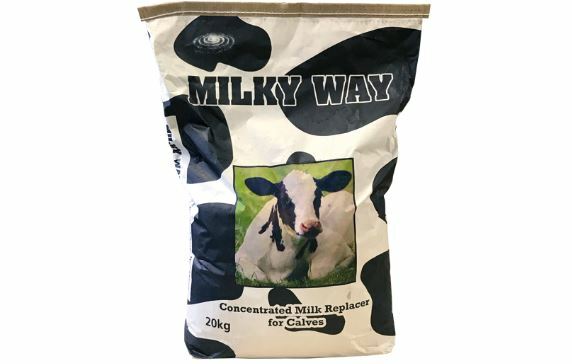 Milky Way is a concentrated, high-energy, 50% skim milk, low-lactose product, formulated to provide 30% more energy and milk protein than standard calf milk at the same feeding rate. “This ensures calves eat more dry feed and forage, so dry matter intakes are therefore higher,’’ said Dr. Cummins. “This is the only concentrated calf milk on the market and is made with six oils to maximise digestion and calf health,’’ she noted. 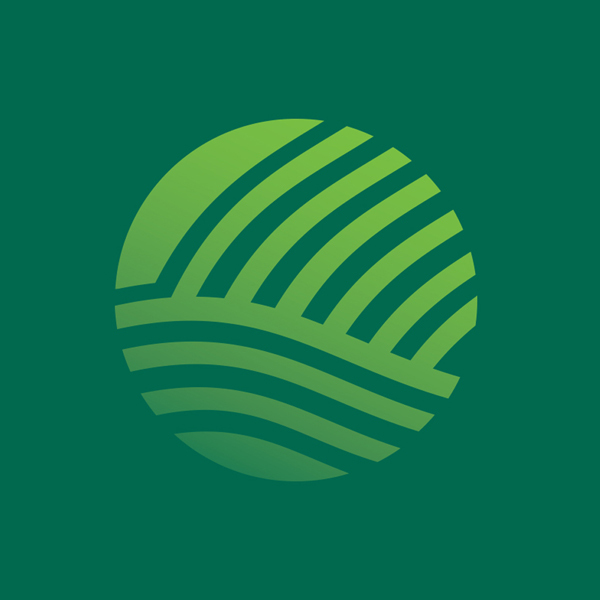 For more information on the trial contact Dr. Cummins at: 0808-1781017 or Click here .